Matching up with the requirements of our clients, we are involved in offering Tilting Cooking Vessel. The 4749 General Purpose Acid Digestion Vessels is a 23 mL, general purpose acid digestion vessel, similar to the original 4745 model but modified for use at higher temperatures and pressures, and provided with safety blowout protection as well. - Jacketed Vessel: Jacketed Vessel can be made of MS or Stainless Steel as per the requirement. 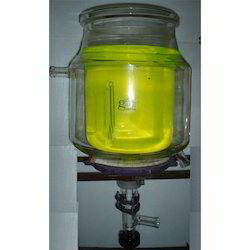 We Quality industries offers mixing vessel reactor. It is top open vessel reactor. Mostly with flat top (lid type) and bottom dish end with agitator. Heating and cooling can be possible in this vessel also with help of jacket or limpet. It can be fabricated in SS, MS, MS rubber line or FRP line. 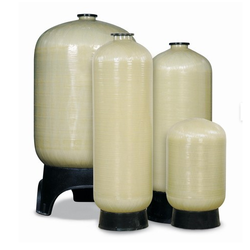 We are highly acknowledged organization engaged in presenting remarkable range of Heating Vessel. - All Glass vessels come with standard flat buttress end connections. - Both spherical and cylindrical vessels can be supplied with graduations as per requirement.